You will find everything you need right here to plan your fun-filled Caribbean vacation of a lifetime. 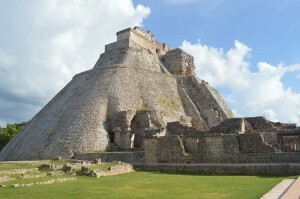 Cancun is situated on the south-east coast of Mexico in the state of Quintana Roo in the Yucatan Peninsula. Warm white powdery sand beaches and turquoise crystal clear waters together with the famous Mexican hospitality make this a place like no other! World-renowned fishing, diving and snorkeling, archeological sites dating back thousands of years, a balmy tropical climate and water sports galore…this is Cancun! A very complete resort where you could keep busy 24 hours a day just participating in the many activities and tours available, and yet Cancun remains a tranquil retreat where you can relax to your hearts content along the peaceful shore of the Caribbean …this is the real purpose of Cancun! 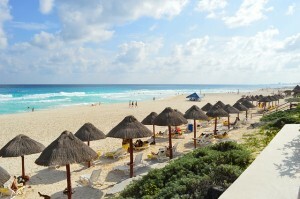 Naturally, the beaches are the biggest draw in Cancun with their soft, white sand and brilliant turquoise-blue water. Cancun’s Hotel Zone is really just one long beach separated from the mainland by a system of lagoons. All of these delightful beaches are open to you becauseall Mexican beaches are public property. Several of Cancun’s beaches are set aside for easy public access, but you should know that you have the right to walk and swim on any beach at all. In practice it may be difficult to approach certain stretches of beach without going through a hotel’s property, but few hotels will notice you walking through to the beach in any case. 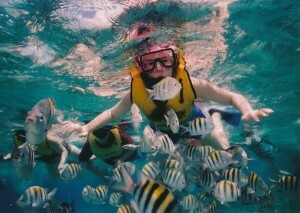 While scuba diving in Cancun, you can discover a paradise full of wonderful attractions. One of the most valuable treasures found underwater is the Maya Reef, the second largest in the world, just behind the Great Barrier Reef in Australia. It stretches all the way from Cabo Catoche, in Mexico, to the Bay Islands in Honduras and it runs parallel to the shoreline at a distance fluctuating between 300 feet and 120 miles. If you and your fiancé have been looking for not only a special day, but a special setting in which to tie the knot, you will find it in Cancun. Cancun weddings of all kinds can be arranged for couples who want to get married in one of the most beautiful and tropical resort settings that the world has to offer. There are countless options to make this memorable occasion a truly once in a lifetime memory. Aside from the surrounding natural splendor, Cancún is known throughout Mexico for its diverse shops and festive malls catering to international tourists. Visitors from the United States may find apparel more expensive in Cancún, but the selection is much broader than at other Mexican resorts. Numerous duty-free shops offer excellent value on European goods. Quintana Roo has a semi-tropical climate. The hottest time of year is from mid-May until the end of August when temperatures can reach 34°C (110° F). September to the end of November is the rainy season with late afternoon downpours. The climate changes are minimal in this area, so visitors should always pack clothes for swimming and warm weather. A light jacket, shawl or sweater is advisable for the evenings of November, December and January.